The grace, charm and architectural characteristics of a weeping conifer, such as a pine (Pinus spp. ), can add much to a landscape, especially in fall and winter. Weeping pines, depending on plant species, can become quite large. 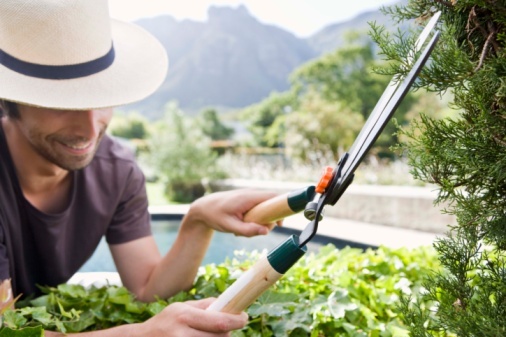 Regardless of their mature size, pruning must be done selectively and lightly, if at all, to retain the attractive form of the plant, and to ensure that the plant is structurally sound. Tip pruning can be done at any point, but major branch pruning should be done when the plant is young and less than 6 feet tall. 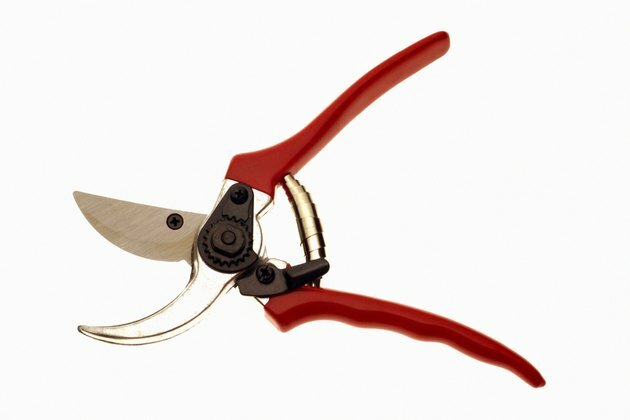 Trim away any dead, wounded or diseased branches from the plant with a pruners, making the cut flush with the trunk where the branch meets it. Leave no more than a 1/4-inch stub. If the branch to be removed is larger than 1/2-inch in diameter, use loppers. Remove dead and diseased branches and twigs any time of year. Tip prune weeping pine tree branches, as desired for aesthetics, in late winter or early spring by snipping them back to a branch junction. Make the cut with the hand pruners 1/4-inch above the junction with another living branch or needle cluster you wish to retain. Clear the lowermost trunk of scraggly or hidden branches by snipping them flush with the main trunk. This can also be done on the main branches if cluttered branches look unattractive. Cut back branches that make contact with the soil. Make the cuts on these branches at a junction with another branch or needle cluster that is 6 to 12 inches above the soil. Prune the branches back even further per your aesthetics, depending on how much space you like between the weeping branch tips and the ground. Remove any branches or twigs that are pulling down the weeping pine tree or making it lopsided. Balance the canopy so that there are branches and foliage on all sides of the trunk.